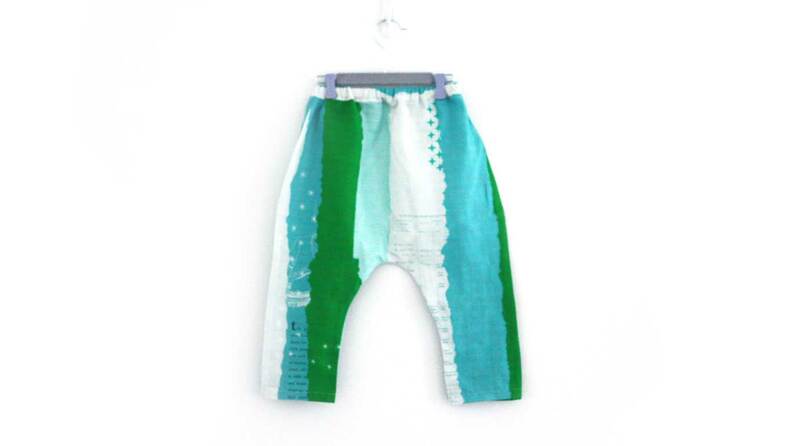 for some time now, we’ve been dreaming about dressing munchkin boy in harem pants (is that odd?). 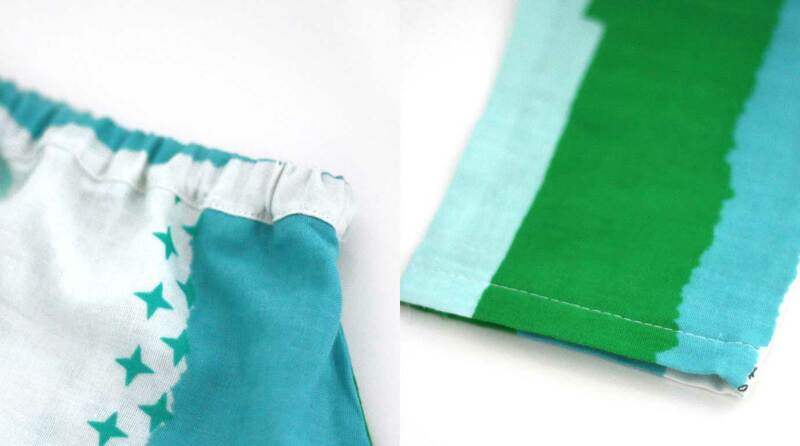 finding ourselves with a few spare moments in the studio, we decided to whip up a pattern and make a prototype! the ones here are stitched out of cotton + steel’s bespoke ephemera double gauze print. we used just 3/4 yard of the fabric, and fortunately little munchkin’s legs are still short enough that we could cut the fabric along its width so as to achieve a vertical stripe pattern. and now all we have to do is locate that ‘lil rascal to see how the prototype fits! just located him . . . photos here!